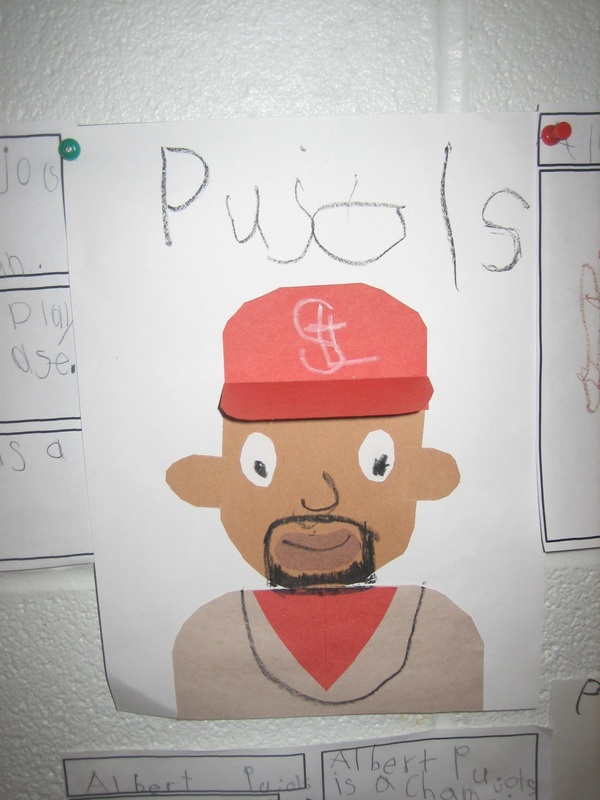 My MOST favorite part of this unit was making our Albert Pujols pics!!! Isn’t he awesome!!LOL! If you love him as much as I do, leave me a comment with your email and I would be happy to send you the instructions. I’m thinking it should really work for any ball player-just change the hat/jersey colors and skin tone, if needed. 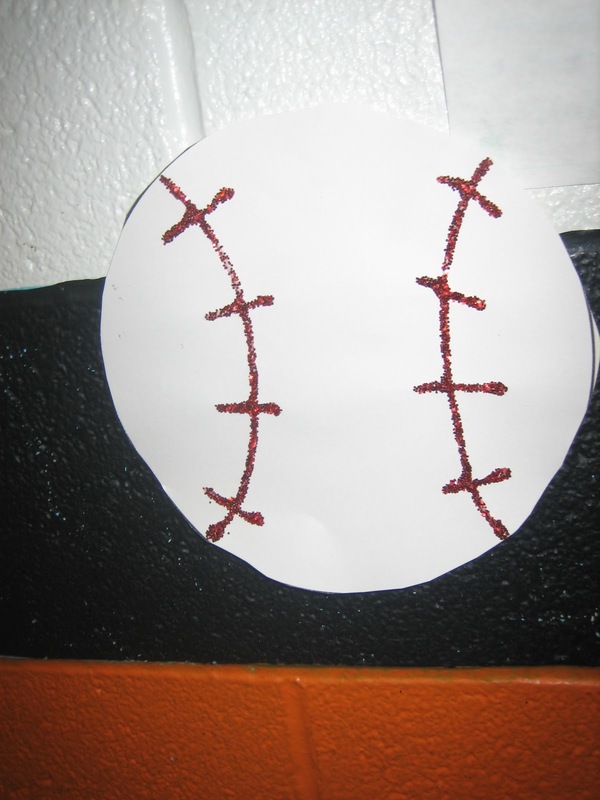 We also made these really simple baseballs. I gave each kiddo a circle to cut out. Then, we drew the seams on with glue and sprinkled red glitter on them! Takes no time at all and they’re super cute! Here’s a pic of our hallway! We made a is/has/can chart. I got this idea from Deanna Jump’s blog! http://mrsjumpsclass.blogspot.com I’m sure if you’re looking at my link, you probably already follow her-since she has about 1,000 followers:) But, here’s her link–just in case:) She’s AMAZING!!!! 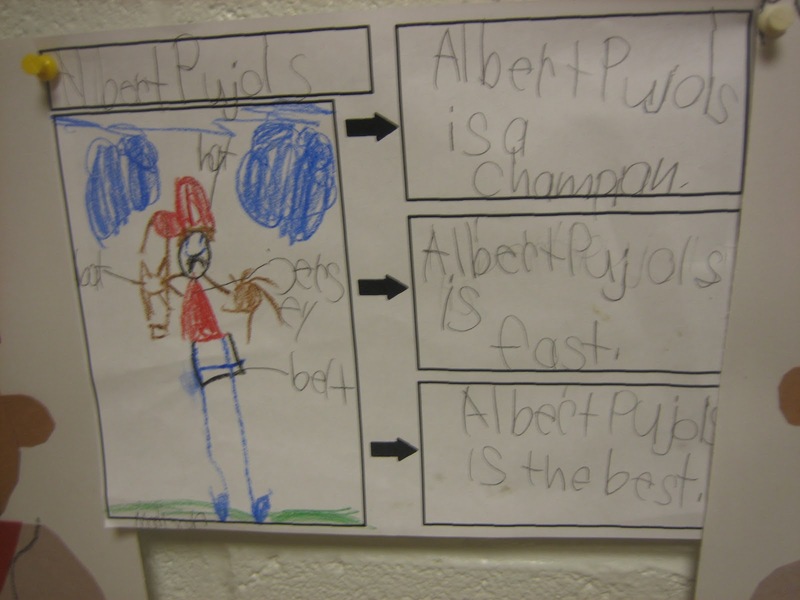 Here is some of our writing that we did after we made our poster. 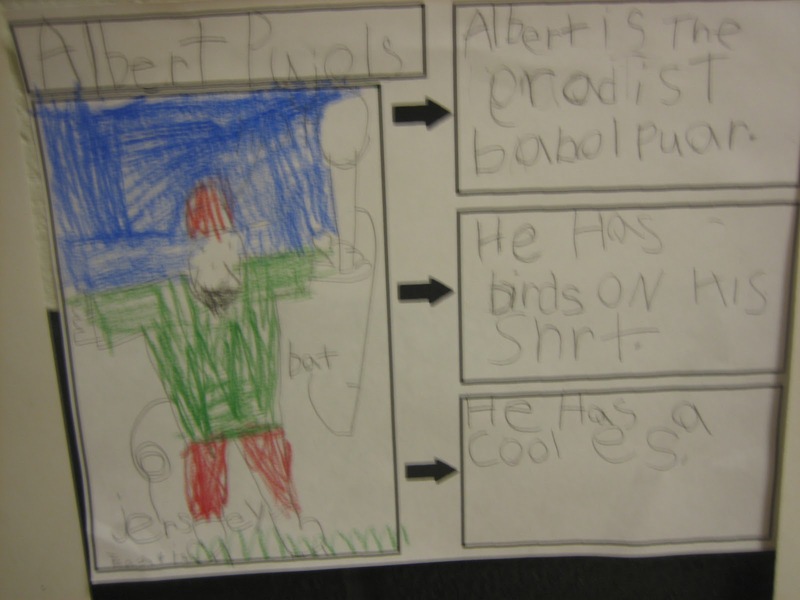 Kiddos had to draw and label a pic of Albert. Then, they had to write 3 things about him. This kiddo took her ideas from the chart…. 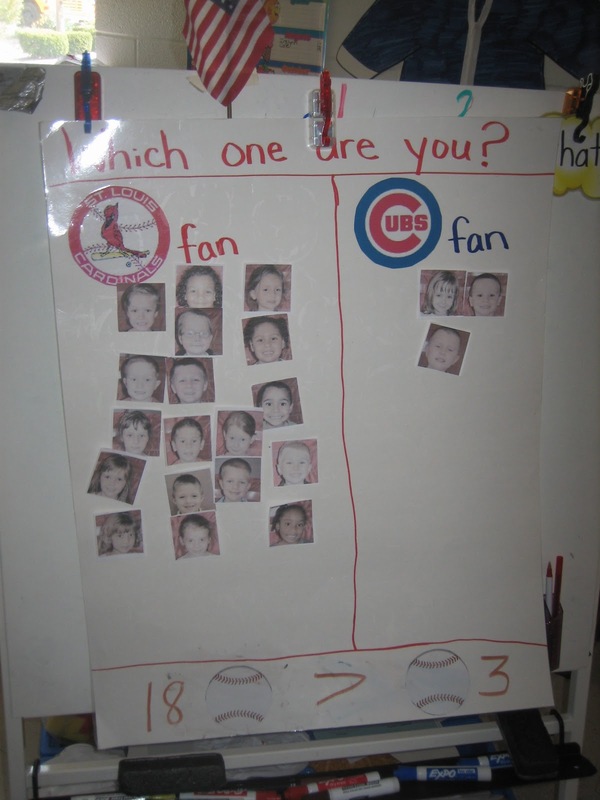 This is a sequencing activity for “Take Me Out to The Ballgame”. We always stick the pics on a paper plate. They use the ballplayer on the string to move around the plate to tell the story. On the back of the plate, we glue the lyrics to the song. 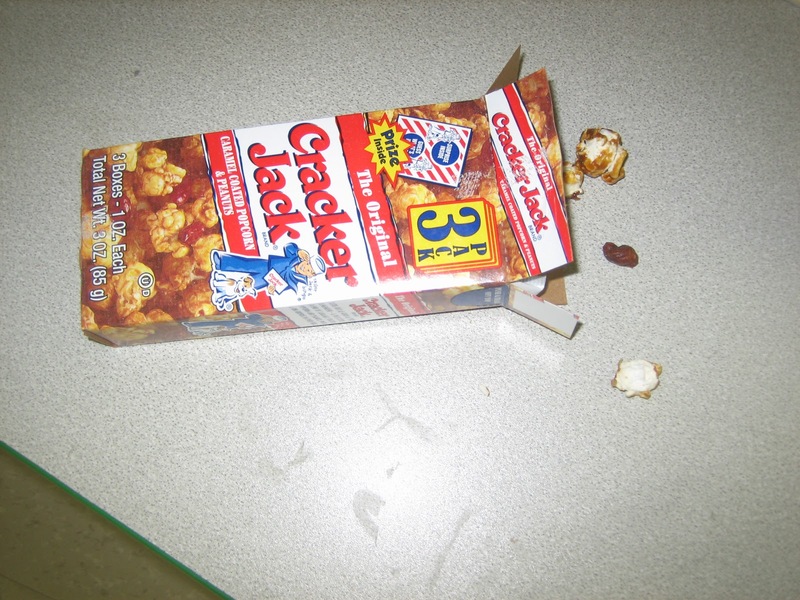 I found this activity in a Mailbox Teacher’s Helper magazine. Not sure what year it’s from? 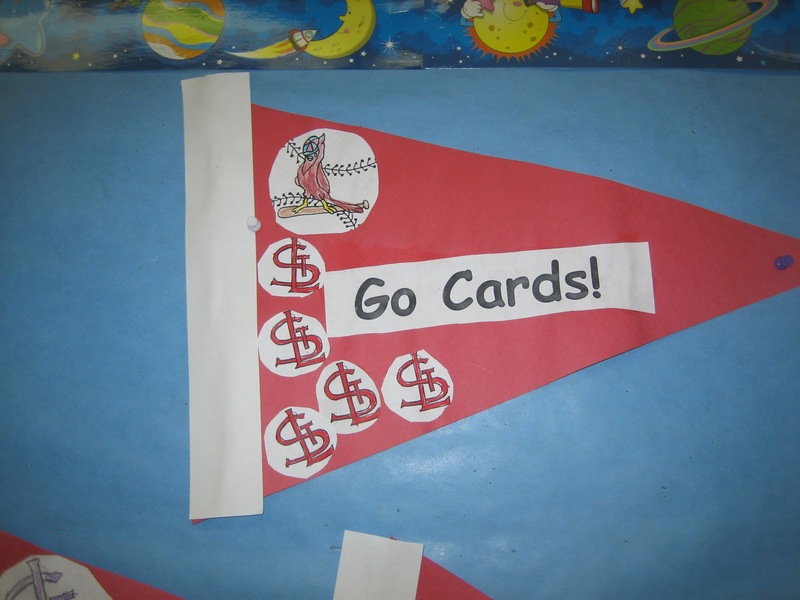 Here are some simple pennants you can make. It’s just a large triangle with a 1 inch strip down the side and decorated with some little clipart. Click on the image above to get a copy of the response sheet I made for this center from google docs. Write a word under the correct family and color smile if it’s a real word and frown if it’s silly word. And here is the last center that we did. It is a sentence building center. The kiddos had to spin each spinner on the board. They then put it all together to make a sentence. The recorded the sentence in their response book and illustrated it. Wow!! Sorry, this has gotten to be a really LONG post!!! But, like I said, this is one of my FAV units and I wanted to share all of my ideas with you:) Hope you found some stuff you can use! ;) Have Fun! P.S. It just so happens that there is a double giveaway at KindergartenWorks!! 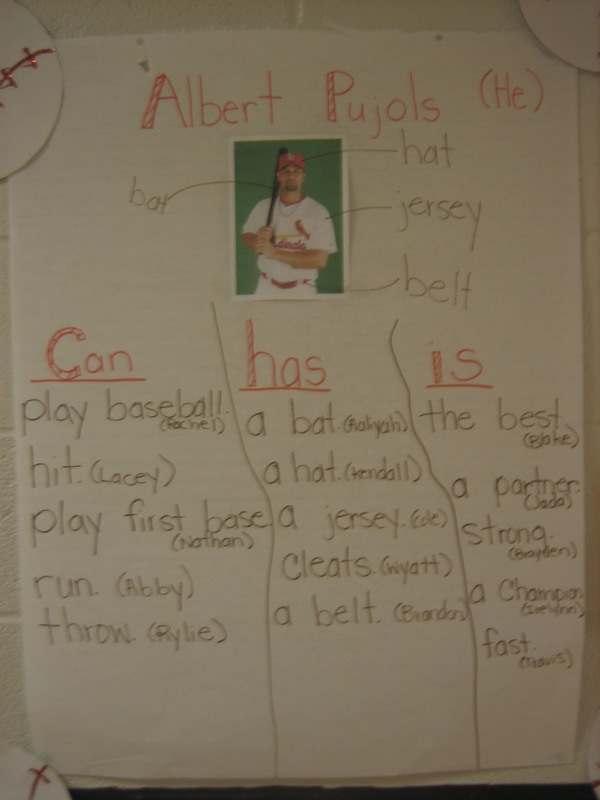 AND one of the items is a BASEBALL themed site word game from Mrs. Wills!!! Click on the “Doublegiveaway” button above to check it out!!! Deedee's Baseball game is so cute and I think it will really appeal to kinders! Wishing you luck in your chances at winning! T.O.T.A.L.L.Y Adorable! Love Pujols! My kids are going to FREAK out! I'm adding your stuff to my wishlist at TpT right now. Good luck in our contest! Great blog! Go Red Birds! Hi Katie… It's me again! I added your Baseball unit to my wish list… will be buying it tomorrow or Thursday, but I noticed your blog post did not link to your product. I had found you the old fashion way, but you may want to check your links. Don't want someone to miss your fun activity. Don't know how that happened!! Maybe I should stop posting at midnight so my brain is functioning properly! ;) I fixed the link! I really appreciate you letting me know! I hope you enjoy the center!!! Thanks SoOoO much for taking the time to peek at my blog!!!!! Now I need to figure out how to get your blog button posted in comments. LOVE this unit!!! I would love to get the instructions for the Pujols player. Very cute. I am from STL and we do something very similar for opening day. I will be sure to add your ideas to my file. Check out my blog for more baseball ideas. Click on the opening day link. So excited to find your blog! Love all of these baseball ideas! Thanks, Jonelle! So glad you liked it:)! It's a fun unit! 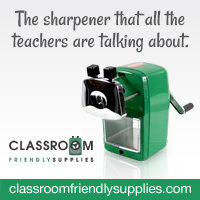 Hopefully you found something to take back to your classroom! Great ideas! I will have to incorporate these ideas into my last week of school! Perfect timing! I would love a copy of your instructions too. P.S. I am now a follower of your blog! Jonelle my class will love this project. My son is a Pujols fan. I would love a copy of the instructions and I have become a follower. What a fantastic unit! I am a HUGE HUGE baseball fan and love trying to incorporate my team into lessons 🙂 I would love the directions to make Pujols (though I will have to change him to be David Wright!) Thanks so much for all your ideas! Also is your sentence building center available on TpT? 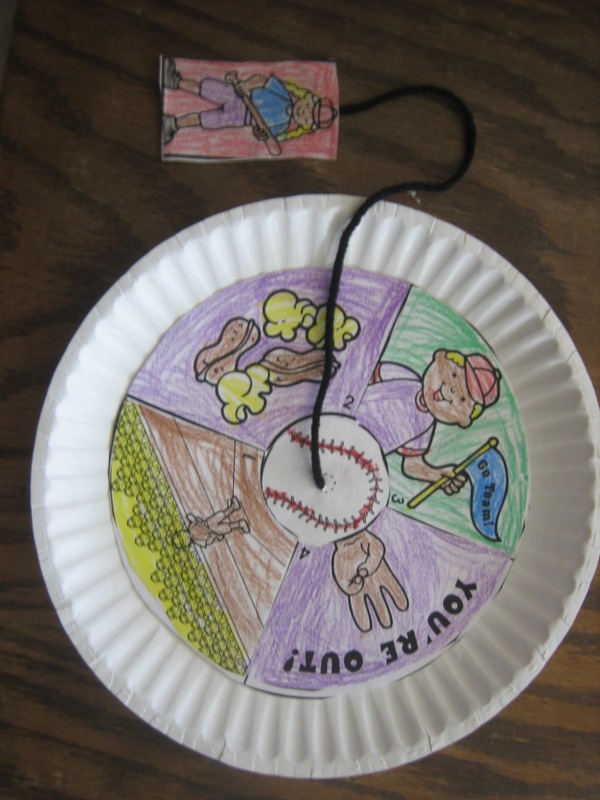 Katie I wondered about how you bound the baseball glove and ball word family game together. I see a white ring and the glove is brown on pink. Did you make the background on each glove to match the corresponding balls? Trying to think of an organized way to present the center. I love the Pujols project! Would love a copy of the instructions. Thanks so much! Hello – Just wondering if I could get a copy of your sequencing page. Is it on teacherspayteachers.com? 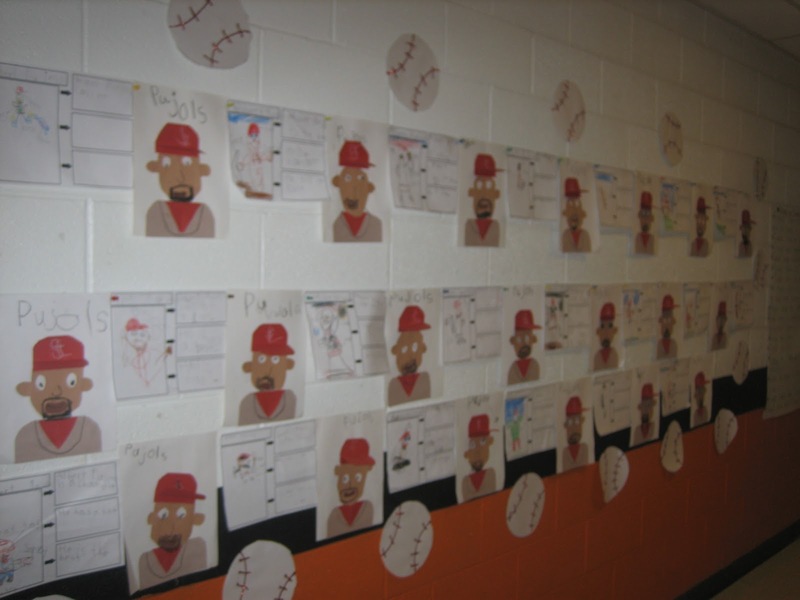 I love your baseball player project! 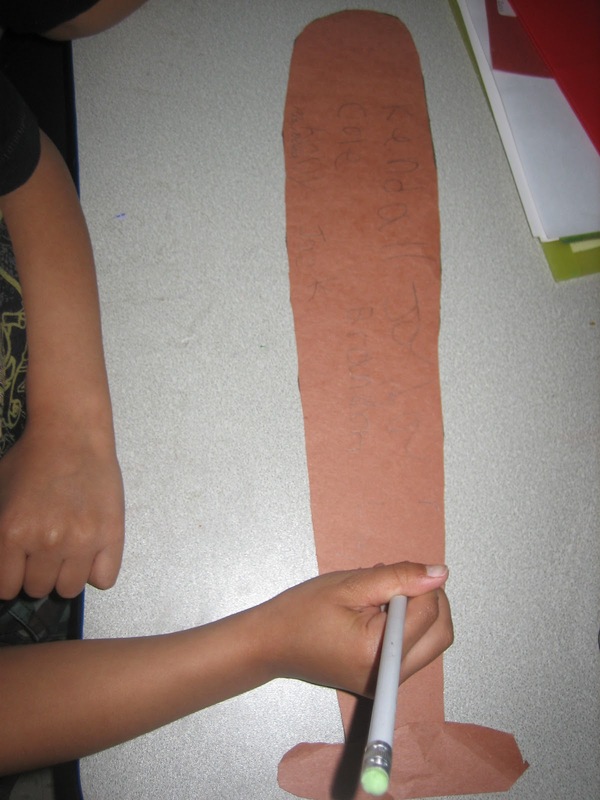 I would love to do somethings similar with my Kindergarten English Language Learners! I love this. We are attending a baseball game close to our town as a goal to a reading incentive. I would love to do this with my class. Thanks in advance! 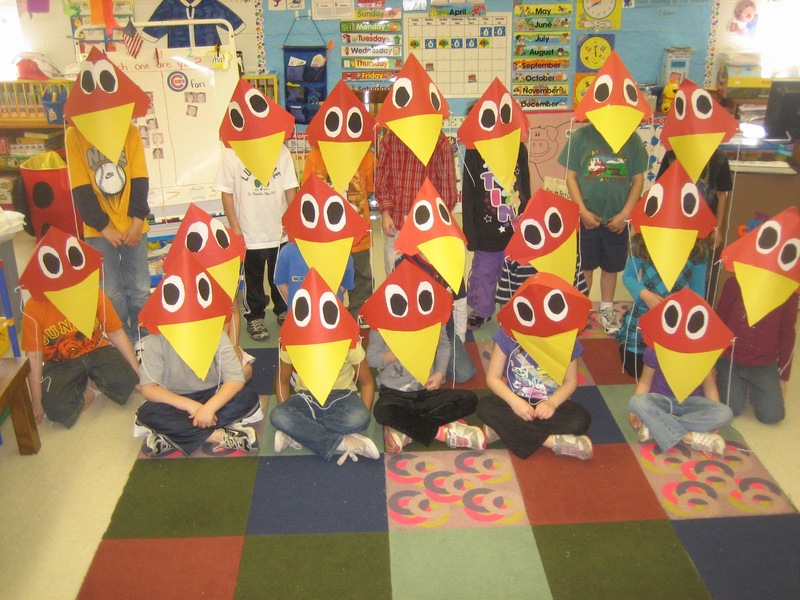 I would love to do this with my class except we are from Philadelphia, and we will be having a Phillies Day! These are some really great ideas!! I coach T-ball and the kids love it!! I absolutely love the baseball hats that you made!! Super cute!! Really great lesson, and activities! Cute baseball idea, especially the hat!